This registration is for you to access the administration console only. 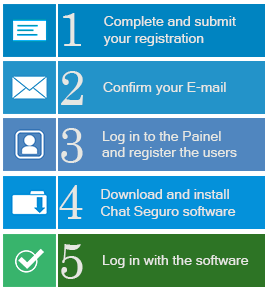 To connect the software, you must register the users (contact list) inside the Administration Panel. The domain will be used by users to connect to chat. Ex: company.com so register here only company.com and without the www.